Deadly viruses like HIV (AIDS) and HEPATITIS- B are not a cause of concern at our center, as we follow strict Sterilization procedures and cross contamination care. The clinics are maintained in very good hygiene. 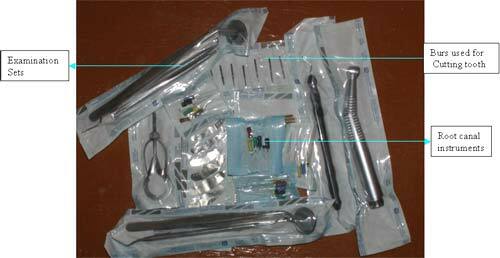 Picture shows all the instruments have been autoclaved after packing in autoclavable pouches, instruments in these pouches can remain in sterilised situation for months. Above, Autoclaved. 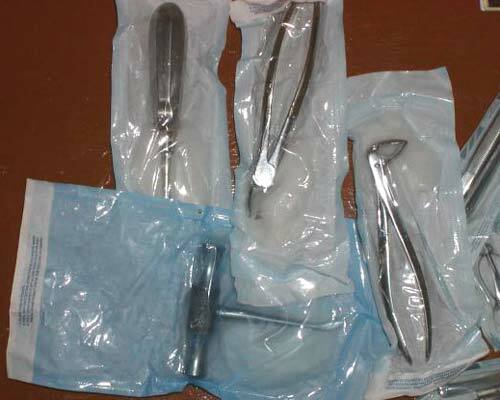 Instruments used for removal of tooth.